Ferrari California in pristine condition! ** Diamond Sport Wheels** Ceramic Brakes** Red Calipers ** Carbon Fiber steering wheel ** Scuderia Shields ** Navigation ** Full Power Daytona style seats ** Clean Carfax history report. Bianco Avus White on Cubio tan Leather seats piped in black.. Not a scratch or ding on this entire vehicle. 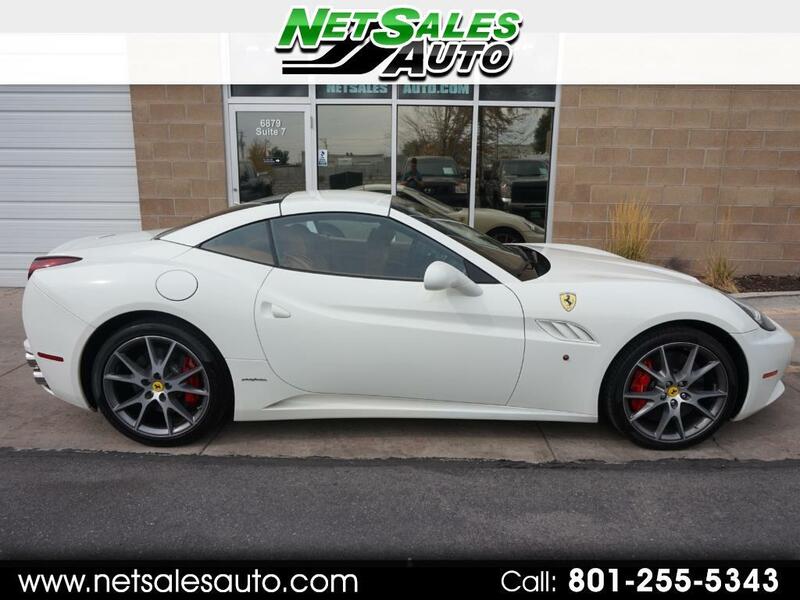 This car was sold certified through Ferrari of Salt Lake City just a year ago! Service records from Ferrari! All services up to date! Quite amazing to be in its presence. Commands respect, an utter joy just to turn this Rarri on! Please call ahead of time to schedule your appointment. Bank and Credit union financing available. We take all trades.Ferrari California in pristine condition! ** Diamond Sport Wheels** Ceramic Brakes** Red Calipers ** Carbon Fiber steering wheel ** Scuderia Shields ** Navigation ** Full Power Dautona style seats ** Clean Carfax history report. Bianco Avus White on Cubio tan Leather seats piped in black.. Not a scratch or ding on this entire vehicle. Front bumper has some rock chips touched up that you can only see when you are on your knees. This car was sold certified through Ferrari of Salt Lake City just a year ago! Service records and from Ferrari and all service up to date! Quite amazing to be in its presence. Commands respect, an utter joy just to turn this Rari on! Please call ahead of time to schedule your appointment. Bank and Credit union financing available. We take all trades.